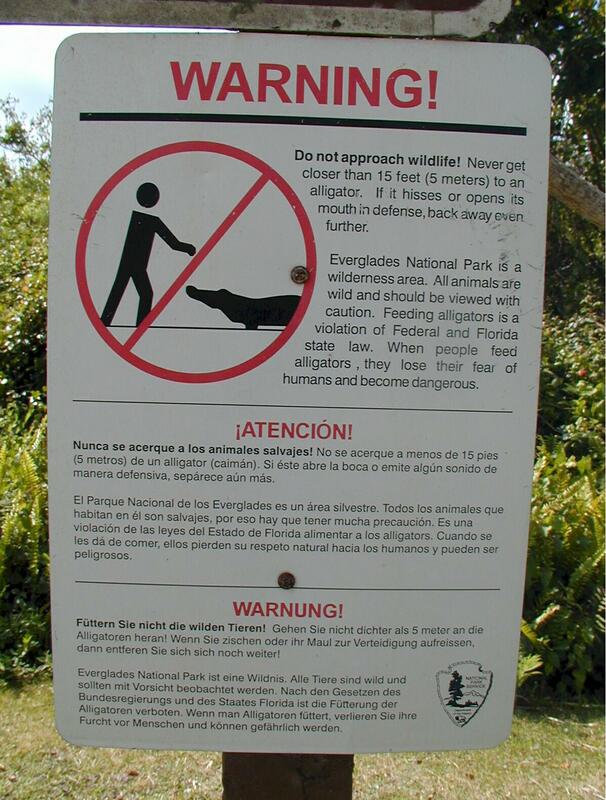 Look out for the gators. 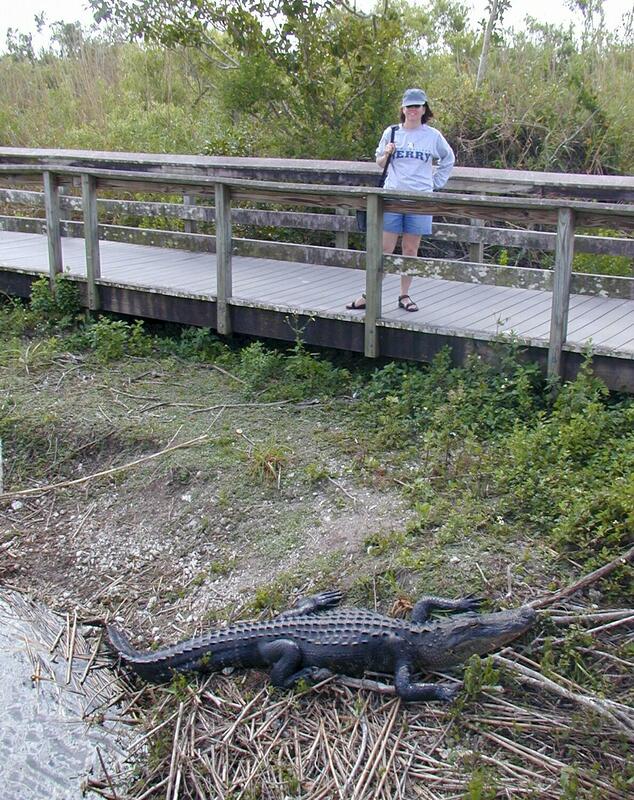 Everglade National Park. We took a 1/2 mile walking tour on a board walk that was out in the alligators stomping ground. During the day the alligators lay around in the sun. They do this because they have to get there body temperature up to 85 degrees before their digestive system works. We camped for two days and Bahia Honda State Park. The park is about 36 miles from Key West. We camped right on the Atlantic ocean side of the key.